The Biobio region is sadly known for heavy impacts on health of local Pehuenche people and to their territory. 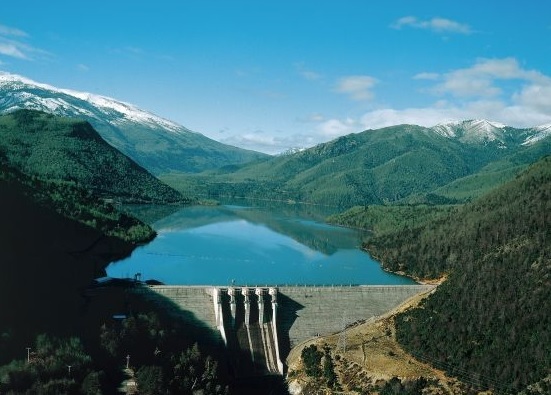 A new study for hydro in the basin could increase conflicts in these "sacrifice watershed"
In 1993 Endesa Chile S.A. proposed to the Government of Chile a project for the construction of a hydroelectric power station along the Biobio River basin. Endesa envisaged the flooding of thousands of hectares of land and the consequent displacement of six centuries old indigenous Mapuche-Pehuenches communities, supposedly protected by the 1993 Protection and Development of Indigenous People Law n19,253. The beginning of the indigenous communities’ mobilizations as soon as in 1995 was headed by the woman Pehunche leader Nicolasa Quintremán Calpán. Despite strong opposition by the National Corporation for Indigenous Development (CONADI) and several environmental organisations, the project was approved in 1999 and eventually inaugurated in 2004. Since then, there have been on-going protests and repeated lawsuits against the dam construction. Community cemeteries have been flooded. The agreement before the Inter-American Court of Human Rights in 2003, which ensures to the affected communities access to the land and to water, was never respected. The Ralco-Endesa project was finally completed despite a ten-year dispute involving indigenous communities, the Chilean Government and private interests. This struggle came to symbolize the problems associated with a lack of appropriate mechanisms for the protection of natural resources and ethnic minorities, theoretically protected by the National legislation. Today, Chile’s current Minister of Energy is finalizing a Watershed Mapping Study to prioritize hydro development in conflict watersheds. If implemented as policy, the study would facilitate construction of several large dams in the Bio Bio Watershed, as well as dams in at least six other major watersheds. In the Bio Bio watershed, two existing dams built by Endesa have already created conflicts in the region. The companies which own the additional water rights and would benefit from the policy are Brazilian firm Atiaia, and Energía Frontera SPA, which is owned by Energía Llaima. If the Minister of Energy is allowed to implement the study as national policy, it will make it easier for companies to gain approval for building dams in the Bio Bio watershed, particularly along the Bio Bio River. Project Details Chile's famous Bio Bio River, already severely impacted by two large dams, as well as its tributaries are at risk of being diverted if this study is implemented as policy, in addition to rivers in at least six other major watersheds in Chile. While the final results of the study have yet to be released, several projects ranging from 2 MW up to 200 MW have been proposed. Ralco Project envisaged the creation of a 370 m long and 155 m high water containment system along the upper Biobio River, covering an area of 3,467 hectares, with a capacity of 1,220 million m3 of water. Informe sobre la misión de investigación de la Federación Internacional de los Derechos Humanos (FIDH) sobre la construcción de la central hidroeléctrica de Ralco y la protección de los derechos económicos, sociales y culturales del pueblo indígena Mapuche-Pehuenche. Dams on the Bio bio Photo by local activist and kayaker Paulo Urrutia shows the Bio Bio River as it is currently dammed.